Karlštejn Castle holds an absolutely exceptional position among Czech castles.Situated only about 40 minutes drive outside of Prague, this castle was established by the Czech king and Roman emperor Charles IV as a place to store the royal treasures, collections of holy relics and the crown jewels. The very impressive layout of the castle buildings from the settlement outside the castle walls right up to the Imperial Palace and the towers rising over it will captivate you with their ingenuity. In the castle Chapel of the Holy Cross, you will then merely contemplate the pictures of Master Theodoric in silent wonder. 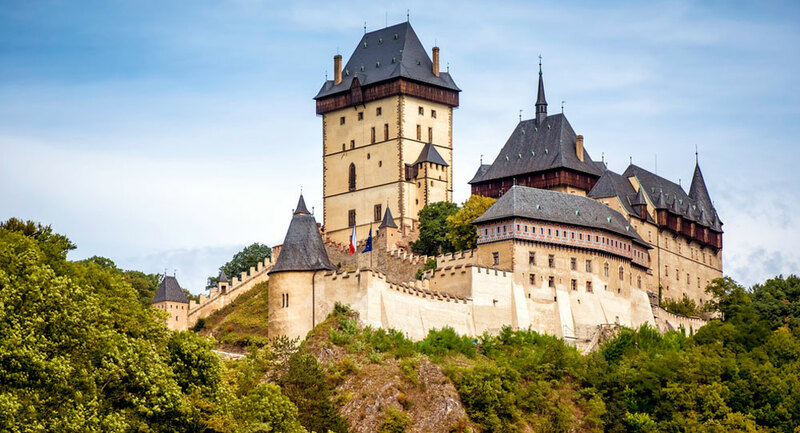 Set out for the most-visited castle in the Czech Republic and discover the treasures it has hidden for centuries! 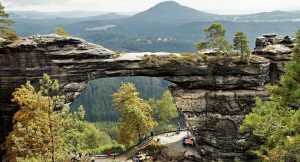 I include in this tour also Karlštejn castle surroundings because the area around the castle is a natural preserve with the unique countryside, caves, rock formations, queries, chateaus and small villages. 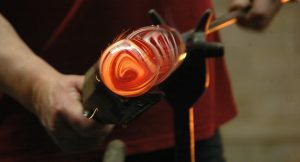 It is stopping by one the places of interests such as Koneprusy caves, Svatý Jan pod Skalou, Beroun town or a small glassworks. The choice is up to you according to your preference – are you a history buff? I recommend Svatý Jan pod Skalou and if you like a beautiful nature I recommend the Koneprusy caves. 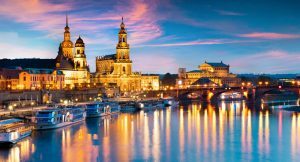 Reasons to visit: The Chapel of the Holy Cross – the place where the crown jewels were stored – is located in the soaring Great Tower The walls are covered with semiprecious stones and 129 rare panel paintings by Master Theodoric. The gilded dome decorated with Venetian glass creates the perfect illusion of a starry sky and makes a visit to this sacred place a truly ethereal experience. (only opened between May and September, other interiors are opened almost all year round), unique countryside surrounded by small villages.